This street is called Pryssgränd which lays on Mariaberget (Maria mountain) at Södermalm. 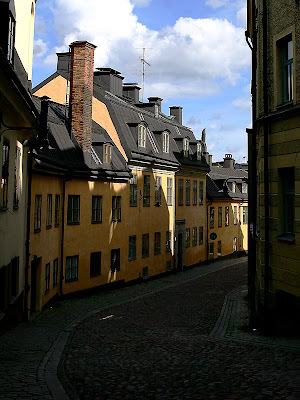 The area has a great culture value, similar to Gamla Stan (the old town) and Djurgårdsstaden. There doesn’t seem to be a shortage of lovely subjects in Stockholm. Another great image! The fact that we managed to avoid two world wars in the previous century is an important factor.